Four organizations of the National Academy of Sciences of Belarus will be present in the 9th International Industrial Trade Fair "INNOPROM" (July 9 – 12, 2018, Ekaterinburg, Russia). 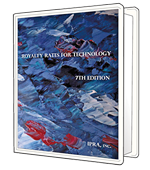 This new and enhanced 7th Edition of Royalty Rates for Technology contains more information on pricing of licensed technology than in any other publication – and 20% more than the previous edition. This unique reference reports all available compensation terms from actual completed license agreements. Throughout its 590 pages you’ll find all the details on technology royalty rates, license fees, and milestone payments — and information about infringement damage awards and settlements. Twenty one organizations of the National Academy of Sciences of Belarus will be present in the 28th international specialized exhibition BELAGRO-2018 (June 5 – 9, 2018, Minsk, Belarus). Sixteen organizations of the National Academy of Sciences of Belarus will be present in the International exhibition «TechInnoProm» within the framework of the Belarusian Industrial Forum-2018 (May 29 – June 01, 2018, Minsk, Belarus). 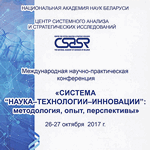 Materials of the International conference "System "Science-Technology-Innovation": methodology, experience, prospects", which was held in Minsk on October 26-27, 2017 you can download here (in Russian, 38 MB). 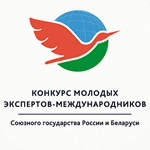 The reception of applications for the Contest of young international experts of the Union State of Belarus and Russia is opened. The competition is held under the aegis of the State Secretary of the Union State. The works submitted for the competition should be devoted to the studies of the Union State, Belarusian-Russian relations and integration processes in the Eurasian space with the participation of Russia and Belarus. The works can reveal the stated subject matter from the point of view of political science, economics, sociology, history, philosophy. Students and graduates of universities, graduate students and young scientists from Belarus and Russia who are not older than 35 can take part in the competition. A Belarus R&D institute of NASB is offering ready to use technology and equipment for final treatment of flat, spherical, and aspherical surfaces of optical parts and substrates with root mean square accuracy of the shape up to λ / 150 and surface roughness up to 0.07 nm. They are looking for industrial partners or R&D organizations for commercial agreement with technical assistance or joint venture agreement. The State Scientific Institution "The Institute of Forest of the National Academy of Sciences of Belarus" will represent the NAS of Belarus in the 18th International Specialized Exhibition "LESDREVTECH-2018" (May 23 - 25, 2018, Belarus, Minsk). 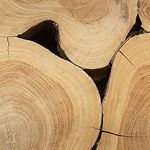 Achievements and proposals for cooperation of the State Scientific Institution "The Institute of Forest of the National Academy of Sciences of Belarus" and other organizations of the NAS of Belarus you can find on the Virtual exhibition of the National Academy of Sciences of Belarus. Republican Center for Technology Transfer and Belarusian Business Innovation Center "EEN Belarus" invite senior students, young scientists and entrepreneurs who have startup projects at any stage of development to take part in the II International Startup Contest and Conference "BizTech BSU StartUp Contest" (20th April – 20th May 2018, Minsk, Belarus). The Republican Unitary Enterprise "The Scientific and Production Center of Multipurpose Unmanned Systems" will represent the NAS of Belarus in the V International Exhibition of Weapons Systems and Military Equipment "KADEX 2018" (May 23 - 26, 2018, Kazakhstan, Astana). The Republican Unitary Enterprise "The Scientific and Practical Center of the National Academy of Sciences of Belarus for Foodstuffs" will represent the NAS of Belarus in the Food Innovation Exhibition "SIAL China" (May 16 - 18, 2018, China, Shanghai). Achievements and proposals for cooperation of the Republican Unitary Enterprise "The Scientific and Practical Center of the National Academy of Sciences of Belarus for Foodstuffs" and other organizations of the NAS of Belarus you can find on the Virtual exhibition of the National Academy of Sciences of Belarus. Belarusian Business Innovation Centre "EEN Belarus" as a co-organizer invites R&D and industry experts, innovation SMEs to participate in the EEN Brokerage Event during HANNOVER MESSE 2018 (23- 27 April 2018, Hannover, Germany). Registration is open until 9 April 2018. A Belarus R&D institute is looking for partners from research and industry areas interested in high-resolution microscopy services that need help in investigation/research of different types of samples (biological objects, coatings, films, carbon nanotubes, single molecules, micro-and optoelectronic components) with the use of atomic force microscopy. The institute is looking to expand into new markets and work with potential partners under the terms of services agreement. Belarusian Business Innovation Centre "EEN Belarus" as a co-organizer invites R&D and industry experts, innovation SMEs to participate in the Technology & Business Cooperation Days 24 - 26 April 2018 / Hannover, Germany within the framework of HANNOVER MESSE 2018 (23- 27 April 2018, Hannover, Germany). A Belarus R&D institute is offering ready to use technology and equipment for final treatment of flat, spherical, and aspherical surfaces of optical parts and substrates with root mean square accuracy of the shape up to λ / 150 and surface roughness up to 0.07 nm. They are looking for industrial partners or R&D organizations for commercial agreement with technical assistance or joint venture agreement. Three organizations of the National Academy of Sciences of Belarus will be present at the Exhibition within the framework of the 25th International Forum on Information and Communication Technologies TIBO-2018 (14 - 18 May 2018, Minsk, Belarus). The "TIBO" Forum is held in the Republic of Belarus on an annual basis and represents a platform for the exchange of new achievements and best practices in the field of information technologies. Three organizations of the National Academy of Sciences of Belarus will be present at "Hannover Messe 2018" (23- 27 April 2018, Hannover, Germany). Within the framework of the "Week of the" Horizon 2020 "Program in Belarus - 2018" in Minsk on February 26 and March 1 were held trainings for young scientists "My first grant". The purpose of this training was to help those who take the first steps in international cooperation: how to prepare a competent CV, an application for a travel grant, a motivation letter, etc.